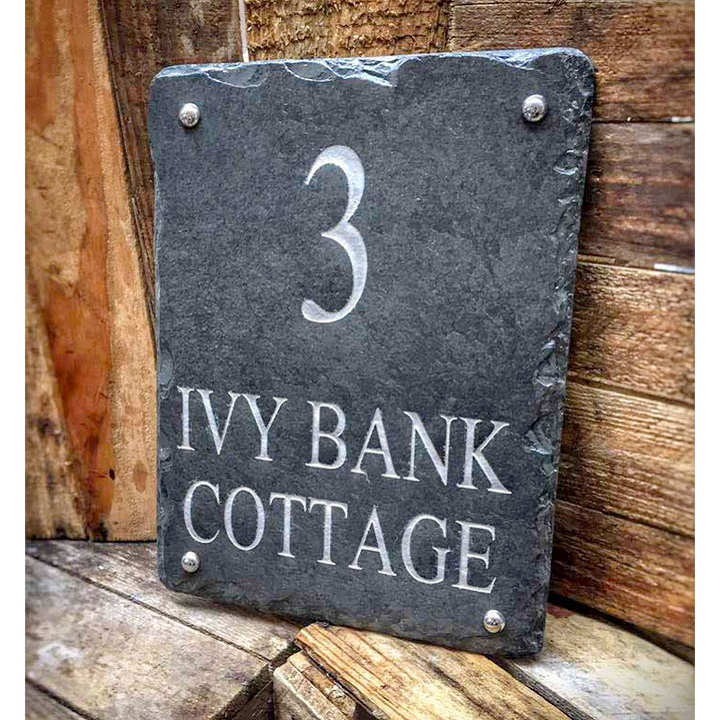 Handcrafted in the UK to a high-quality standard and engraved for a distinctive and prominent text finish. Finished with weatherproofing treatment, making your slate ideal for indoor and outdoor use. Easy to wipe clean and maintain. Supplied with holes, screws and screw caps ready for easy mounting. Available with infill gold colour (the image shown is silver). 23 x 30cm. Personalisation: three lines, maximum 10 letters/numbers per line including spaces, plus infill colour (gold).